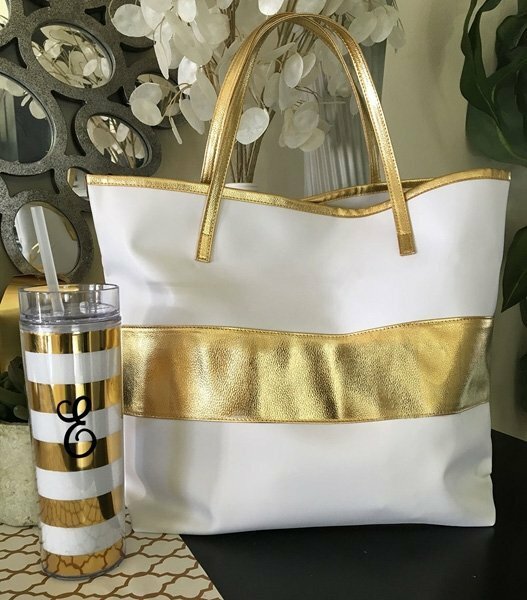 Our Gold Striped Tote Bag is a fun way to package gifts for bridal parties, girlfriends and more! 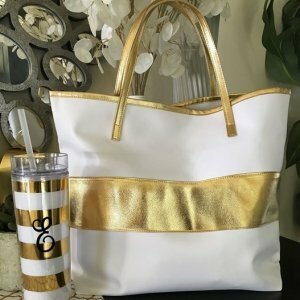 Your bridesmaids will enjoy using them to carry all their wedding day essentials, and then continue to use them for years to come! NO OTHER ITEMS ARE INCLUDED. Tote bags are EMPTY Inside. 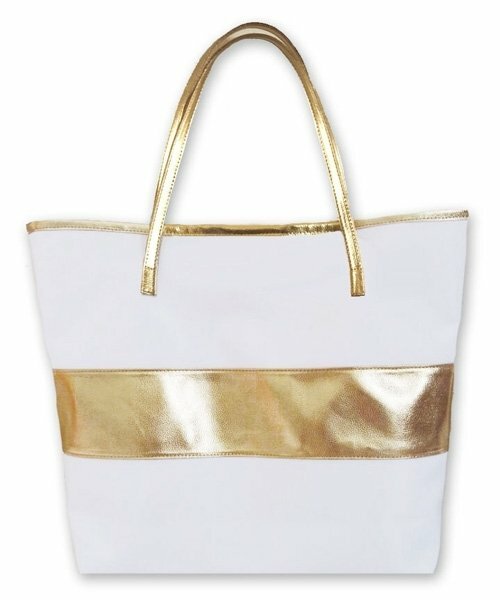 Material: Bag is made of white nylon and faux gold leather. Size: Height x Length x Width = 16" x 12.5" x 4"